Everything is up to the student himself. This is the conclusion that I made from my learning experience this semester. I guess, most of the students had challenges balancing time between job and study. I had same problems. In this blog post I want to share two examples of common challenges and how (if not remove, but) to reduce their effect. First challenge is rewriting the research proposal. In the first year of Master’s study we had a brilliant opportunity to practice all the steps in conducting a research during fall session. We wrote our research proposals and some students continued on that topic in this semester. If I had that opportunity again, I would have chosen the topic of my REAL interest at that time. I think that I could have saved time if I clarified with my instructors on my topic of thesis at the time of writing the first proposal last year. I would strongly recommend to identify the topic of the interest right after the course on Educational context and reforms. That can save time and energy in studying in the year after. The second advice is to have or prepare such a person at your work that is familiar with your job responsibilities enough to be able to substitute you when you are on your study at GSE. I had such a colleague who substituted me when I was on my studies at NU. It doesn’t matter who does the job, but the job has to be completed. If your principal is confident that your absence at work will not affect school’s operation, then you can be confident that you will not be bothered in your studies. After all, I experienced enough support by the faculty at GSE, and I think that study load is manageable. The most important thing that a student has to do is to organize time properly. My mini thesis research question is ‘what factors help students to complete Massive Online Open Courses (MOOCs)?’ The first challenge that I expected was finding such a student that has completed a MOOC. The percentage of students completing a MOOC might be very low (Yang, Sinha, Adamson, & Rose, 2013). I thought that it would difficult be to find such a student who has completed a MOOC and would be willing to participate in the data collection process. However, I invited my group mates to participate in the interview and two of them accepted. Agreeing on a suitable time for the interview was not a problem. It took place on campus of Nazarbayev University during lunch time. I planned to conduct the interview for 25-30 minutes, however it took only fifteen minutes. In my small scale research, I utilized semistructured interview as a data collection instrument, as it is ‘one of the most powerful ways in which we try to understand our fellow human beings’ (Fontana and Frey, 2000, as cited in Creswell, 2014, p 46). I think, this is the most important advantage of semistructured interview. The weak part of it maybe related to the quality of the questions that I constructed. The answers of the respondent is much more dependent to the interviewer’s ability to conduct a good interview. My thesis research project has some similar features with the small scale study. For example, one of my research questions for thesis is ‘What factors help teachers integrate ICT in mathematics lessons?’. I am going to use semistructured interviews for the thesis too in order to explore teachers’ experience. Experience that I gained from conducting small scale interview will help me to better prepare for the process of data collection for thesis research. One of the lessons that I learned is that I need to include more subquestions for the semistructured interview in order to get more information. The other strategy that I am thinking about is to take a preliminary interview with a teacher in order to test the questions. However this strategy I may apply in the future research, since my preious research design is already approved. Creswell, J. W. (2014). Educational research: Planning, conducting and evaluating quantitative and qualitative research (4th ed.). Boston, MA: Pearson. Yang, D., Sinha, T., Adamson, D., & Rose, C. P. (2013, December). Turn on, tune in, drop out: Anticipating student dropouts in massive open online courses. In Proceedings of the 2013 NIPS Data-Driven Education Workshop (Vol. 11, p. 14). How to “flip” your classroom? My journey to literature review started from stating the research question. After identifying a raw version of the question, I extracted the keywords from it. Keywords helped me in the process of looking through the literature. 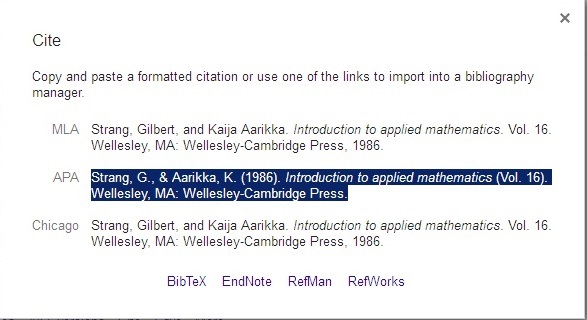 I didn`t set a goal to restrict the number of literature with the first approach to literature review, because on Research methods course we learned that the whole process of thesis writing is not linear but cyclic, meaning that all the stages of writing are interrelated with each other (Creswel, 2014). I understood that ideas that come while reading the literature will bring changes to the research question and might to the other parts of thesis. I created a preliminary map of themes on the Thesis writing seminar in August with the help of our instructor. The map is helping me to organize process of literature review. My main topic is ICT in Mathematics education. I will probably discuss the role of ICT in mathematics education in the beginning. Then I will narrow my focus to the perspective of teachers` about role of ICT in mathematics. In third part, I will emphasize on the aims, rationale of teachers` using ICT in teaching math and their approaches. By approaches, I mean, using ICT as an instructional tool, a tool for assessment, or a tool for self-study. My own interest in this particular area, I think, will contribute to designing the structure of review. The biggest challenge in finding the sources is lack of time out of work and concentration. The other challenge is a huge amount of literature on the topic. My initial search on ERIC database, using the filter tool ticked on peer-reviewed, full text resources ended up with 83 articles. I found most of them relevant to my topic. I still need time to examine the literature I found and narrow the number. Creswell, J. W. (2014). Educational Research: Planning. Conducting, and Evaluating Quantitative and Qualitative Research. Pearson. Massive open online courses (MOOCs) have become an important phenomenon for discussion among stakeholders that are related to the area of Higher Education (HE) (Glance, Forsey, & Riley, 2013). The authors claim that the nature of MOOCs being available for students worldwide and accessibility may “potentially disrupt the existing model of HE” (Glance et al., 2013, p.5). MOOC platforms like Coursera, Udacity, edX, FutureLearn are some of the successful examples that made open online learning popular. The authors further develop the opportunities and challenges that HE institutions should put into consideration in order to be sustainable in the field of education. In order to compare the findings I also examined an article MOOCs and open education: Implications for higher education by Yuan, Powell, & CETIS, (2013). The authors also argue that MOOCs lack inclusiveness, because it demands from students to possess high IT skills (Yuan et al., 2013, p.11). The style of instruction differs than that of face-to-face education, relying mostly on students` self-discipline. The other challenge of MOOCs is a high rate of dropping out. Meyer (2012) reported that (as cited in Yuan et al., 2013, p.11) only 15-20% of students completed the online courses of Stanford, MIT and Berkley successfully. Korn and Levitz (2013) found (as cited in Glance et al., 2013, p.2) that percentage of students who complete the course is 5-15% from that who enrolled in the beginning. There is another concern that is related to the reliability of such course completing results. Yuan et al., (2013) propose that students may resort to academic dishonesty in order to successfully complete a course, especially if a credit is given (p.12). Despite the number of negative aspects of massive open online courses, there are some opportunities for higher educational institutions that can help enhance teaching and learning. For example, many students are enrolled into online courses offered by MIT and Harvard. The behavior in online environment is stored and analyzed in order to help institution to enhance such experience (Yuan et al., 2013). To sum up, the opportunities that emerge from utilizing MOOCs should be considered as a strong motivation to further develop learning experience of such kind. What MOOCs developers have to do is to thoroughly analyze the drawbacks and take actions to decrease possible negative outcomes. Glance, D. G., Forsey, M., & Riley, M. (2013). The pedagogical foundations of massive open online courses. First Monday, 18(5). Yuan, L., Powell, S., & CETIS, J. (2013). MOOCs and open education: Implications for higher education. One of the priorities in the Development of Education Program for 2011-2020 in Republic of Kazakhstan is integrating Informational-Communicational Technologies (ICT) in teaching and learning (MESRK, 2011). The Program highlights the importance of this particular reform for Informatization of Education in the Republic of Kazakhstan. A huge amount of funding is allocated for the integration of ICT in education. However, little attention is paid in the role of ICT in education and the difficulties that teachers face when using ICT in teaching. In order to make my study more specific, I am going to focus on ICT use in Mathematics. In my thesis, I will investigate the problems of integrating ICT in education. The most helpful course for me was the Research methods course. Our instructors taught us how to conduct research. I liked the structure of the course. Along with theoretical knowledge, they provided us with practical skills like interviewing, analyzing and interpreting the data. We had a chance to conduct a small-scale research in the NU site. We collectively designed a questionnaire and interviewed a number of NU foundation students. After that, we coded the data and analyzed it in SPSS software. Thanks to that kind of practice, the whole procedure became less frightening as it used to be prior to the course. The most common challenge for all of us was, I guess, managing the time out of campus. I myself had never studied during the work. There seemed to be a lot of work to do in the limited amount of time. Before entering the Master’s program, I assumed that I would be able to allocate an hour or two every day in order to complete my assignments in time. However, in the reality I was so exhausted after the workday that I wasn`t even able to look at the computer screen. The only day out of work is Sunday, which is the only time that I could spend with my family. In one day, I wanted to do both: to complete the assignments and spend some time with my daughter and wife. After a couple of attempts, I realized that it was impossible. Sooner we came to an agreement that I would spend the whole Sunday with the assignments. This year will definitely be different from the last year from a number of perspectives. I think that I will not struggle with the assignments this year, because I gained a habit to complete them beforehand (at least 4-5 hours aheadJ). This year may be easier for us because we are on the finishing straight line that gives us an additional motivation. Just imagine that in 10 months we hopefully will get the master`s degree! In addition, we mostly are going to investigate a topic that is very interesting for us. That will give us an extra joy for our study.